Presence of cancer stem cells (CSCs) contributes to tumor outgrowth, chemo-resistance and relapse in some cancers including colorectal carcinoma (CRC). The current characterization methods of CSCs in CRC only allows enrichment of CSCs but not their purification. Recent reports showed that ST6 beta-galactoside alpha-2,6-sialyltransferase 1 (ST6Gal-I) plays an essential role in protecting tumor cells against harsh environment like oxidative stress and nutrient deprivation. Therefore, whether ST6Gal-I may be highly expressed in CSCs or whether it may enhance resistance of tumor cells to chemotherapy deserves exploration. ST6Gal-I levels were determined in CRC specimens, compared to paired normal colorectal tissue, and examined in CD133+ vs CD133− CRC cells, and CD44+ vs CD44− CRC cells. ST6Gal-I levels and their association with patient survival were examined. In vivo, 2 CRC cell lines Caco-2 and SW48 were transduced with two lentiviruses, one lentivirus carrying a green fluorescent protein reporter and a luciferase reporter under a cytomegalovirus promoter to allow tracing tumor cells by both fluorescence and luciferase activity, and one lentivirus carrying a nuclear red fluorescent protein under the control of ST6Gal-I promoter to allow separation of ST6Gal-I+ vs ST6Gal-I− CRC cells. Tumor sphere formation, resistance to fluorouracil-induced apoptosis, and frequency of tumor formation after serial adoptive transplantation were done on ST6Gal-I+ vs ST6Gal-I− CRC cells. ST6Gal-I levels were significantly upregulated in clinically obtained CRC specimens, compared to paired normal colorectal tissue. Poorer patient survival was detected in ST6Gal-I-high CRC, compared to ST6Gal-I-low subjects. Higher levels of ST6Gal-I were detected in CD133+ CRC cells than CD133− CRC cells, and in CD44+ CRC cells than in CD44− CRC cells. 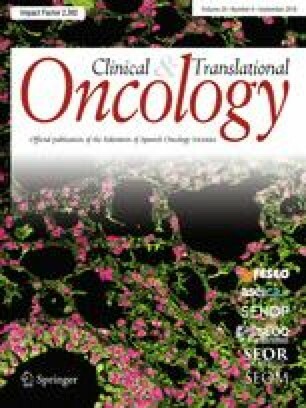 Compared to ST6Gal-I− CRC cells, ST6Gal-I+ CRC cells generated significantly more tumor spheres in culture, were more resistant to fluorouracil-induced apoptosis likely through upregulating cell autophagy, and generated tumor more frequently after serial adoptive transplantation. ST6Gal-I may be highly expressed in the cancer stem-like cells in CRC and enhances cancer cell resistance to chemotherapy. All the experimental protocols including animal procedures have been approved by the research committee at the Third Military Medical University and carried out in accordance with the guideline. Resected CRC specimens were obtained together with the paired adjacent non-tumor colorectal tissue (NT) from 66 patients since 2006 through 2011 at Third Military Medical University, with signed approval obtained from the involved patients.